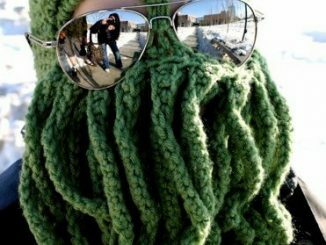 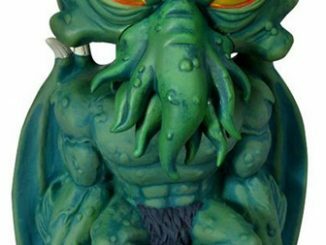 Anyone can hunt down a deer, moose, or even a bear, but what about a Cthulhu? 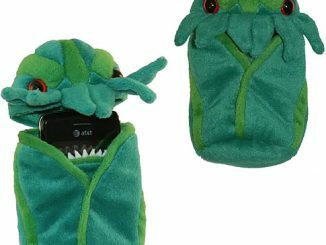 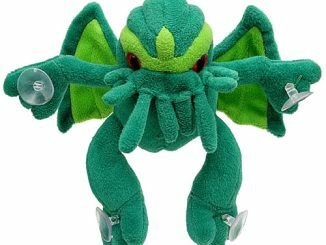 Hang this Mounted Cthulhu Plush Wall Trophy up in your game room and anyone that steps foot in there will know you mean business. 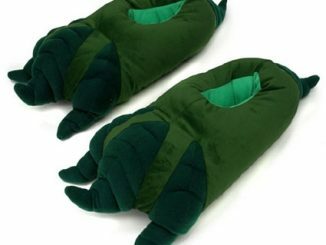 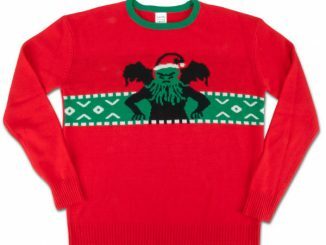 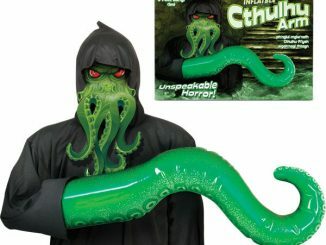 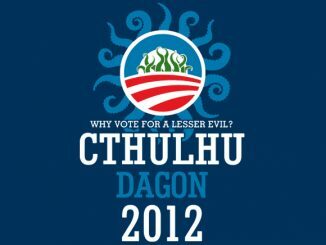 Sure, it’s not the real thing, but no one has ever seen a Cthulhu and lived to tell about it anyway. 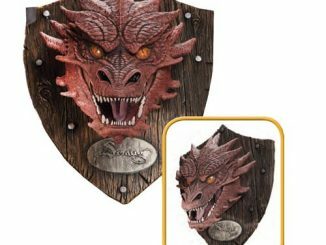 This wood plaque is 11-1/2″ x 9-1/2″ x 6″ and easily mounts to walls so you can show off a real trophy. 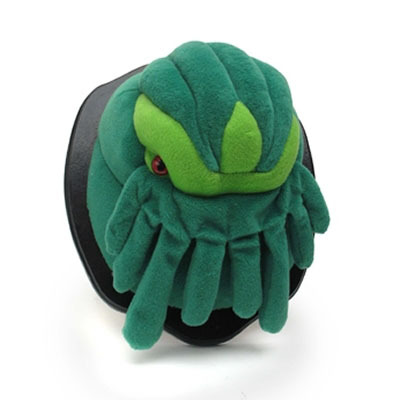 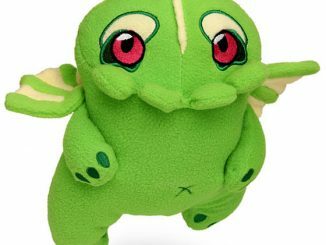 The plush head is soft, so feel free to give it a good luck pat on the head every once in a while. 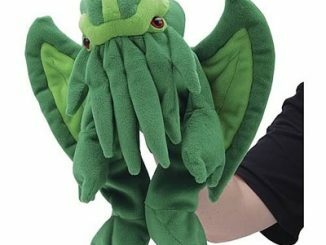 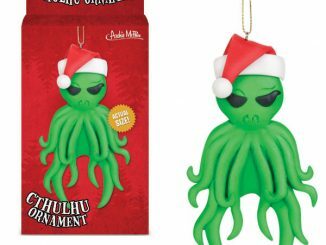 Available at the NeatoShop for $24.95, this Mounted Cthulhu Plush Wall Trophy will make a great gift for the Sci-Fi fan this holiday season.